Our roots as a full service butcher shop allow us to process almost any type of meat. 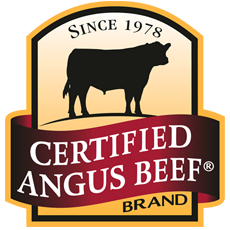 For decades we have processed beef, veal, lamb, and poultry to the exact specification of our customers.Sourced domestically from approved livestock suppliers, St. Helen’s can custom select the cattle to match their customer needs. Responding to changing customer demands, we have undertaken expansion in value added and case ready products for clients of all sizes. Our research and development department responds quickly to changing consumer trends and can rapidly develop high quality products in both taste and appearance. Whether as a co-pack for our customers, or under one of our brands, (Rachel’s, North of 90, Best Meats) we specialize in getting the newest items onto the shelf. Our facilities are federally inspected; HACCP certified and maintain Global Food Safety Initiative (GFSI) certification under the Safe Quality Food (SQF) standard. We ensure that food safety is embedded in every level of our company, from intervention systems supported by state of the art equipment to our continuous and rigorous employee training programs. We take great pride in our food safety systems. St. Helen’s is dedicated to producing safe and wholesome foods in compliance with all regulatory requirements. Our goal is to exceed the high quality standards set forth and expected from our customers. Export sales are an important and growing part of our business. St. Helen’s has a worldwide presence and offers a full range of services to our diverse customer base. We proudly ship to USA, Mexico, South America, Asia, and many Middle Eastern destinations. Working with our customers and suppliers, our service based approach is focused on achieving this specific needs of all of our partners. 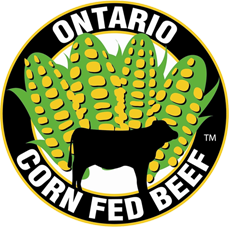 We can process and package any order of beef, veal, lamb, and poultry to custom specifications. Our experienced marketing staff and dedicated sales team offer leading-edge insight and industry knowledge. We are eager to help with pricing, planning, and program development so that our customer need are satisfied. The Halal food market has grown quickly over the past decade, and we are globally recognized for the traditional hand slaughter of all beef and veal processed in our facilities. St. Helen’s maintains multiple Halal certifications under the strict supervision of numerous Halal authorities.